If you need a replacement tooth while the implants are healing, many temporary options are available. Some implants can be placed and “loaded” immediately. This means a temporary or permanent replacement tooth can be placed on, or shortly after, the day the implant is placed. Although it is natural to be concerned about the pain that may be caused by these procedures, most patients do not experience severe or significant post-operative pain. Pain medication and antibiotics will be prescribed for you to make your recovery as easy as possible. Post-operative infections that require additional antibiotic treatment are rare. Even though great care is taken to place the implant precisely, it is possible to injure adjacent teeth. There is a chance that the nerve in the lower jaw, which provides sensation to your lower lip and chin, may be affected. If you are missing quite a lot of bone, it might be difficult to place an implant without infringing on the nerve space. Although we take great care to avoid this nerve, it can be irritated during the procedure, resulting in tingling, numbness or a complete lack of sensation in your lip, chin or tongue. Usually these altered sensations will resolve within time, but they can be permanent and/or painful. If you notify us of post-operative numbness as soon as possible, it will allow us to manage your care in the most appropriate way. Implants usually last a long time. When patients are missing all of their teeth, long-term studies (more than 30 years) show an 80 to 90 percent success rate. For patients missing one or several teeth, recent studies show a success rate of greater than 95 percent, which compares favorably with other areas in the body that receive implant replacement (such as hips or knees). However, if one of your dental implants either doesn’t heal properly or loosens after a period of time, you may need to have it removed. After the site heals (or on occasion at the time of removal), another implant can usually be placed. The number of appointments and the amount of time required for each appointment is different for each patient. No two cases are exactly the same and regardless of the number of teeth replaced, the work must be completed with great precision and attention to detail. Usually, an oral surgeon surgeon places the implant(s) and performs other necessary surgical procedures – your general dentist provides the temporary and permanent replacement teeth. 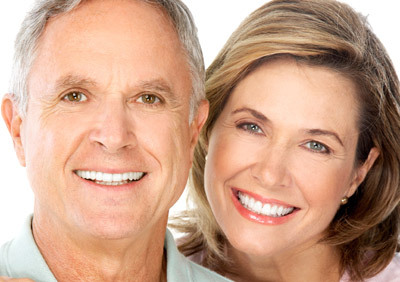 Both doctors are involved in planning your dental treatment. Also, depending upon a variety of factors, different dental specialists may help with your dental care. Once your treatment plan is established and your dental benefits are confirmed, we can give you an estimate of surgical fees. Your dentist will provide you with the restorative fees. Each patient’s treatment is unique, and it is not possible for us to discuss every option and every contingency for treatment outcome. This website section is intended to help you understand the general treatment options available to you. If your specific treatment options are not clear, please contact us. We will be happy to answer any questions you have about your dental care. We can recommend CareCredit (www.carecredit.com) for no-interest and low-interest loans for dental procedures including dental implants. The only way to receive an accurate price quote is to call us and come in for a consultation, and we can give you a specific price for your case. Please call us at Torrance Office Phone Number 310-325-7800 to schedule your consultation.